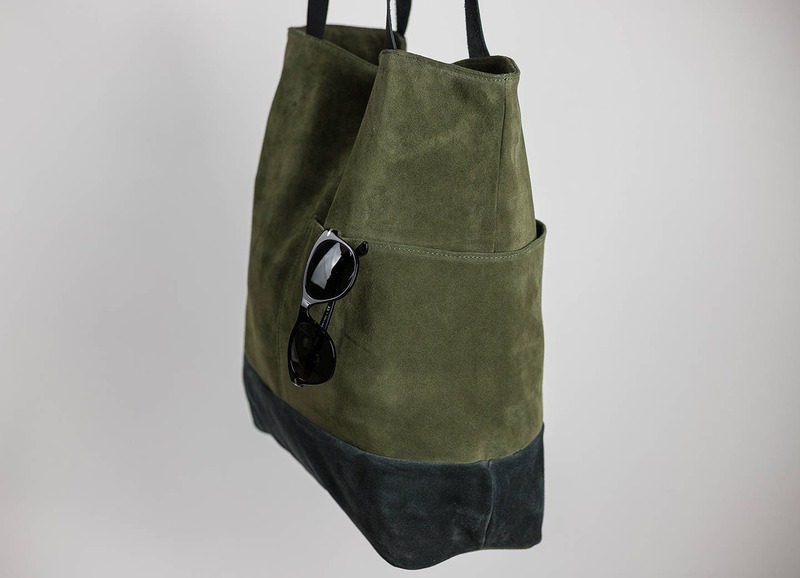 Carry all your essentials in this minimalist & elegant oversized khaki tote bag. 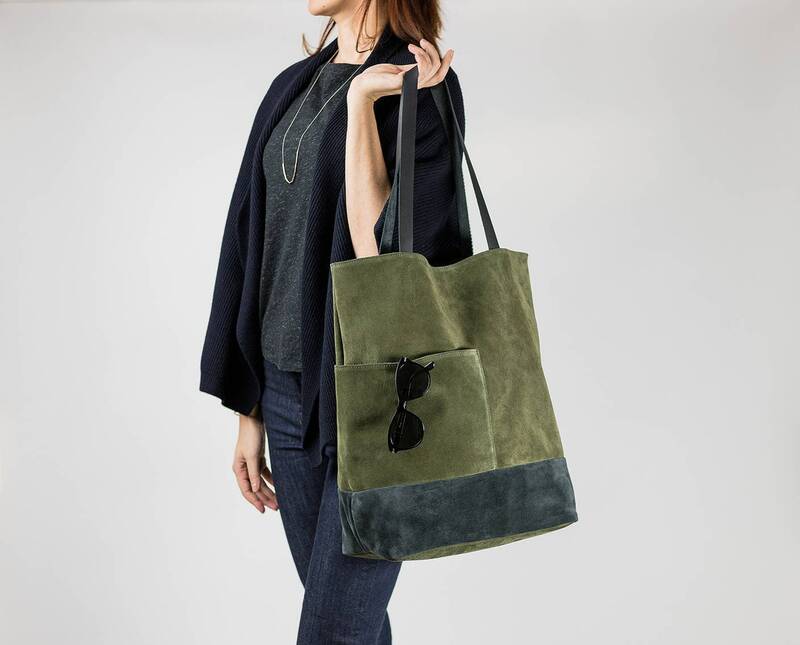 Handcrafted from soft and luxurious genuine suede leather that can be dressed down for day and up for night. Throw your cell, keys, tickets, and other small items in the spacious front pocket for easy access. 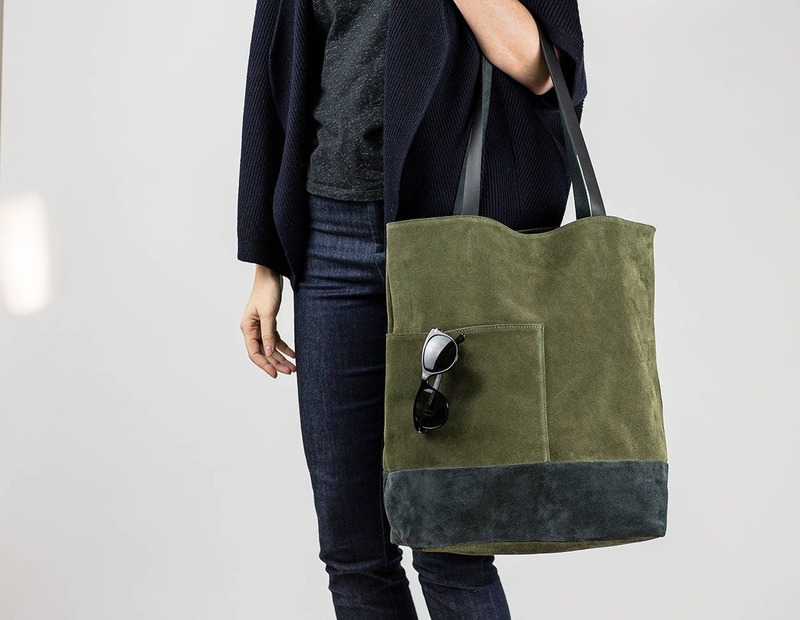 Perfect for travel, shopping, and everyday use. - Please avoid prolonged contact with water, heat and oily substances, at the risk of permanent and irreversible damages. - Please be mindful with lipsticks, ink or any other oil based products in your bag. Our lining is made from 100% cotton to easy clean, but any contact between oily products and the leather may cause stains. 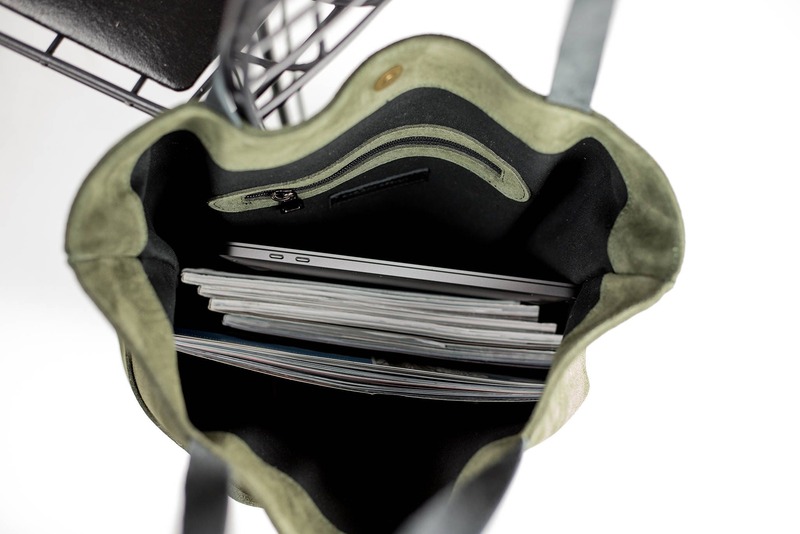 - Keep your bag stored in a dust bag which comes with your bag. Never storage your leather companion in a plastic container because the condition can lead to discolor your bag. - And last but not least your wardrobe: don't wear very light garments in combination with new dark colored leather and the other way around. Clothes and leather both might transfer color. Love this bag! Beautifully made and quick delivery. Great shop. 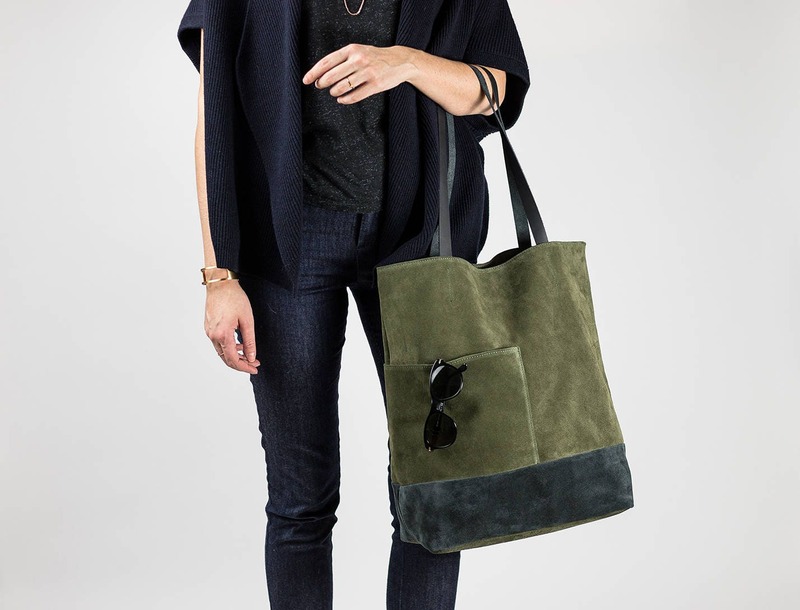 This bag is soooo amazing! It is so well made and perfectly flawless that I am almost afraid to use it. A co-worker saw me open the package and within a minute everyone was swarming to get a better look and find out where it came from. It was expertly packaged and arrived from the west coast to the east coast very quickly. I could not be happier. The shop owner takes pride in these pieces and rightfully so... they are truly worth every cent. Beautiful bag. Customized tag with a personalized note. Will use this bag often and order again! 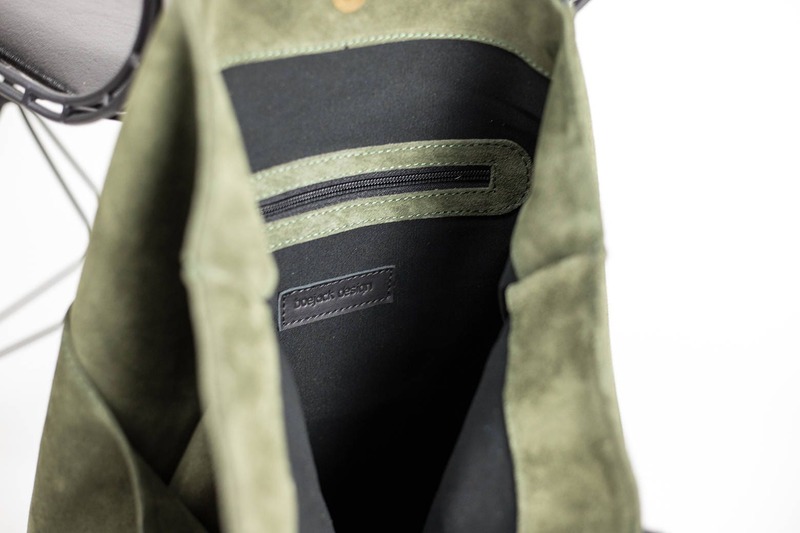 The bag is beautiful and meticulously crafted. I F’ing LOVE this bag....exceeded expectations! XOXO Expect referrals.